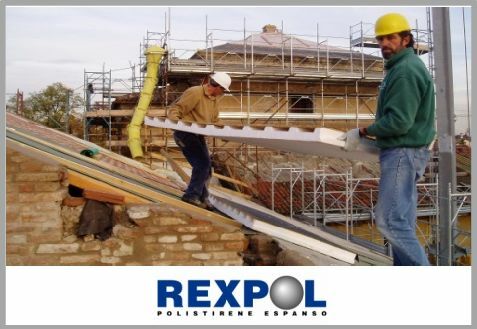 “REXPOLgroup, innovative systems for insulation, waterproofing and packaging” summarizes the philosophy of the group that produces – for almost 45 years already – elements in Expanded Sintered Polystyrene (EPS), created to satisfy the present and future needs of the market. Many are the Rexpolgroup products that have obtained European patents; quality controls are constantly performed on raw materials and finished products, as well as on machinery. The company policy is driven by experience, professionalism and being committed to customer’s satisfaction and support. This means managing a constantly evolving market, through a flexible and innovative product development, with a manufacturing sector and logistics able to offer high quality standards and a real-time service, as well as a marketing department very careful to detect any minor change in the market and to support the Group’s commercial activity. The total integration between the departments guarantees to all the professionals in the sector the product in Expanded Sintered Polystyrene (EPS) that best suits his needs and complies with current regulations. In fact, the “Quality management system” of the group companies has been certified, according to the UNI EN ISO 9001 standard, by the European Certification Body DNV. Rexpol and Rexcop apply the Organization, Management and Control Model pursuant to Legislative Decree 231/2001. These are the strengths of Rexpolgroup, whose companies consolidate the leadership position of Rexpol and Rexcop brands in the Italian EPS market. Parent company specialized in the production of Expanded Sintered Polystyrene items, such as: panels for insulation systems, thermal-insulating panels for cavities and floors, thermal insulating aggregates, architectural prototypes and ornamental elements, panels for thermal insulation of civil and industrial coverings. REXPOL srl is a company with ISO 9001 Quality Management System certified by DNV-GL. Rexcop is the brand that distinguishes all metal panels for coverings produced by the homonymous company, on the market for over 15 years. 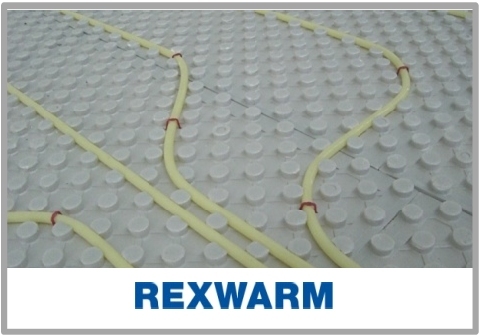 REXCOP is an integrated company. In its factories it’s possible to produce: Expanded Sintered Polystyrene (the insulating material in which the panels are made) and corrugated, flat and curved metal sheets. 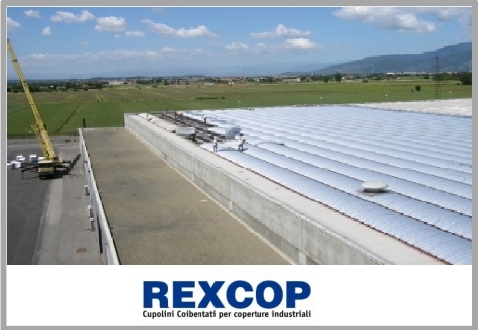 To complete the system, Rexcop produces a series of preformed, pre-coupled and cut to fit insulating panels with bituminous sheaths, for insulation and the waterproofing of beams and ducts. The system is really complete and reliable. REXCOP srl is a company with ISO 9001 Quality Management System certified by DNV-GL. The “radiant floor panels” Division has been created to collaborate with companies producing “radiant floor systems”, with the aim to reach the customer’s maximum satisfaction. The product range varies from the usual flat and ashlar panels to the high-performance thermoformed products to conclude with specific solutions that guarantee a very fast start up of the system. New panels in Rigid Expanded Polyurethane have been added to our standard products in Expanded Sintered Polystyrene. The REXWARM Division is an integral part of REXPOL srl, a company with ISO 9001 Quality Management System certified by DNV-GL. 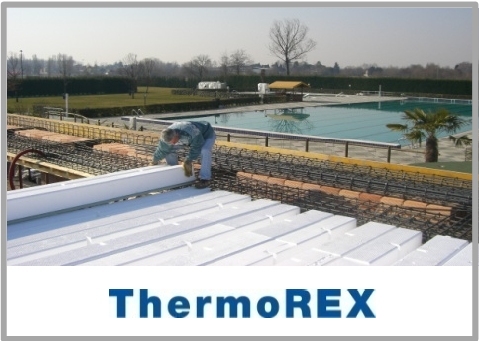 The ThermoREX Division is the result of Rexpol’s 40-year experience in the production of Expanded Sintered Polystyrene (EPS) elements for civil constructions, and of Rexcop professionalism in producing metal panels for industrial buildings. From this combination of experience and professionalism, the Research & Development Division has engineered and patented a newly designed “floor slab insulation system”, with high timberings, excellent thermal insulation properties and exceptional fire behavior. Currently, the ThermoREX configuration range consists of 6 models. The ThermoREX Division is an integral part of REXCOP srl, a company with ISO 9001 Quality Management System certified by DNV-GL. 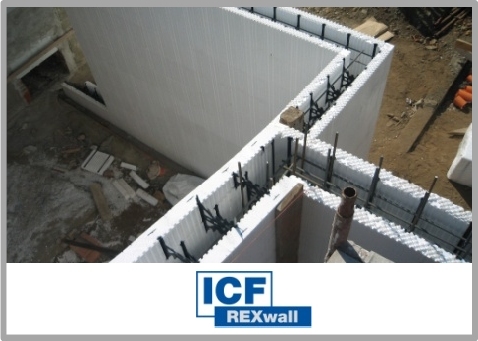 The ICF REXwall Division is an integral part of REXPOL srl, a company with ISO 9001 Quality Management System certified by DNV-GL. 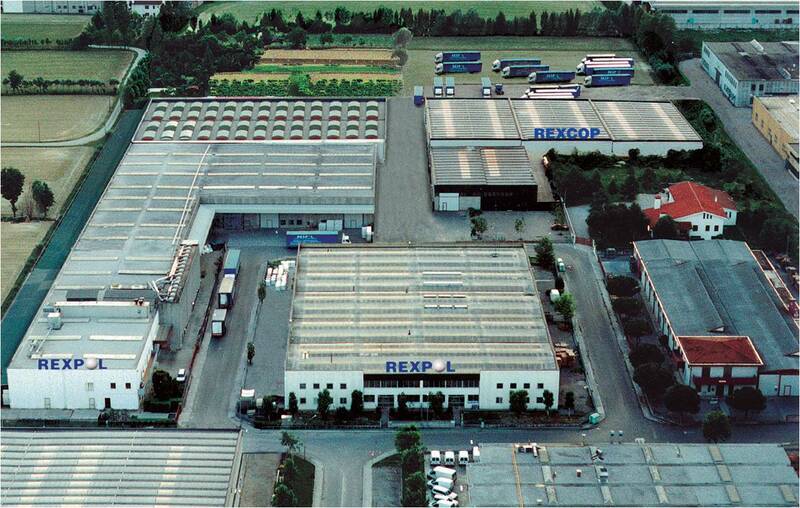 The REXpackaging division is the starting point from which the entire REXPOLgroup has developed. The study of the customer’s specific needs for what concerns preformed products, require an overall view of the most suitable types of product (printed and/or cut packaging). 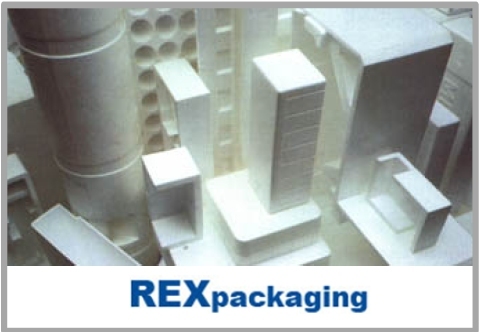 The sectors in which the REXpackaging Division is more specialized are: industrial sector, construction sector, fishing industry, fruit & vegetable and enological sectors. The REXpackaging Division is an integral part of REXPOL srl, a company with ISO 9001 Quality Management System certified by DNV-GL. I am interested in receiving information on products and solutions for thermal insulation and waterproofing, free guides, catalogs and brochures, promotions, coupons and discounts.